While a few corporate executives admit uncertainty over social media optimization or its relevance, an overwhelming majority will admit that they foresee greater assignment of funds to the same. While only few businesses select professional services, some challenges remain. Following are the obstacles that can be avoided. Social media optimization requires understanding the brand from the audience’s point of view, competitor’s aspect, and important terms, which is the first step. Ignoring this could lead to lost opportunities in all respects, like sales, collaborating, customer services, and others. After establishing the goals, assigning responsibilities and accepting an overall accountability is necessary. Different departments must combine efforts to benefit the business. This prevents any possible brand misrepresentation. 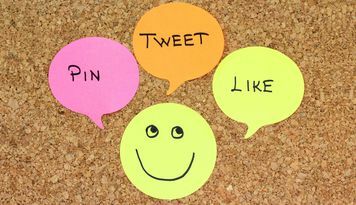 Consistently engaging audiences means regular participation in social media optimization tasks. Executive endorsements enable feedback to contributors, which grow the community. Having a dedicated community member as a curator or brand ambassador encourages community participation and displays the level of involvement. To earn belief, a company needs confidence. Developing a sincere and passionate community depends immensely on the depth of participation of the company itself. More than opinions, a sense of conviction and strong will stand apart as respectable elements, which builds a reputable presence for social media optimization. The emphasis is on understanding more than doing, as it is an approach more than a task. Having your team undergo the requisite training will reduce the difficulty. While data is essential to decision making, it should never restrict the capacities of the creative department. Most often, a spectacular creative idea can be the game changer, becoming a historic event in social media campaigns. In addition to maintain a unique element, the real team members can support social media work. Rather than having a nameless person behind your brand, establish partnerships and acknowledge others for commendable work. Simply being useful with a focus will benefit you as well. With social dissent being expressed as well, a tactful and calm approach is required, even a light-hearted acceptance performs the necessary to maintain audience loyalty. Ultimately, companies earn social media optimization by thorough strategy development, experimental innovations, and repetition of wholesome efforts and a fundamental framework. With these seven guidelines, your brand can fuel its progress on the path to realizing a robust market share and wider visibility.